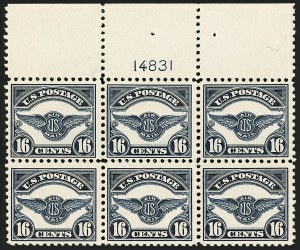 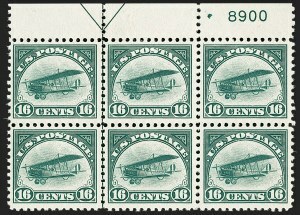 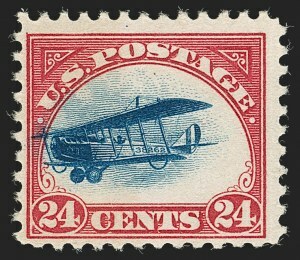 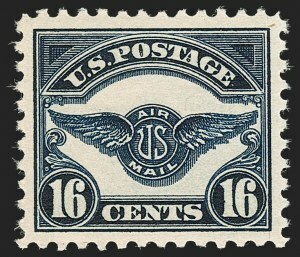 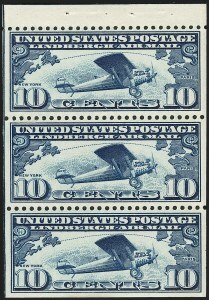 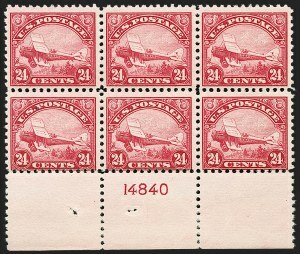 24c Carmine Rose & Blue, 1918 Air Post, Fast Plane Variety (C3 var). 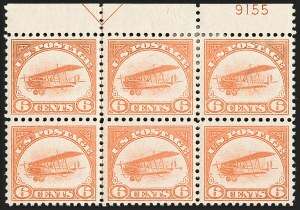 Lightly hinged, forward shift showing the Fast Plane variety, with top wing extending nearly to the end of the Carmine frame, intense colors, Fine, with 2018 P.S.E. 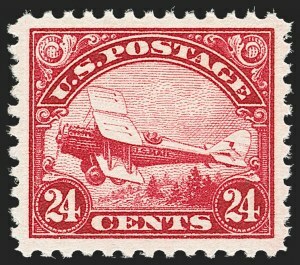 certificate stating "Fast Plane"